1949년 인천에서 태어나 서울대학교 국문과를 졸업하고 동대학원에서 박사학위를 받았다. 인천문화재단 대표이사를 역임하고 현재 인하대학교 인문학부 교수로 재직중이다. 저서로 『민족문학의 논리』 『한국근대소설사론』 『생산적 대화를 위하여』 『문학의 귀환』 『제국 이후의 동아시아』 등이 있다. Born in 1949 in Incheon, Choi Won-sik studied Korean literature (BA and MA) at Seoul National University. He made his literary debut with the selection of his literary criticism in the annual contest hosted by the daily Dong-A Ilbo in 1972. 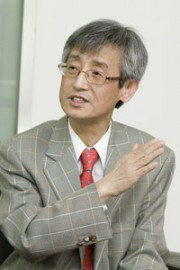 He served as a professor at Keimyung University and Yeungnam University during 1977-82. He received a Ph D in 1986 for “A Study of the Literary Works of Yi Hae-jo” at Seoul National University. Currently a professor at Inha University, he has authored: The Logic of National Literature, A Treatise on the History of Modern Korean Fiction, The Theory of National Literature in Korea(published in Japan), For a Productive Dialogue, In Search of Modern Korean Literature, The Wind That Blows across the Yellow Sea, and The Return of Literature; and edited A Treatise on the History of Modern Korean Literature and East Asian Literature in an Age of Transition. He has received the 9th Daesan Literary Prize for The Return of Literature.